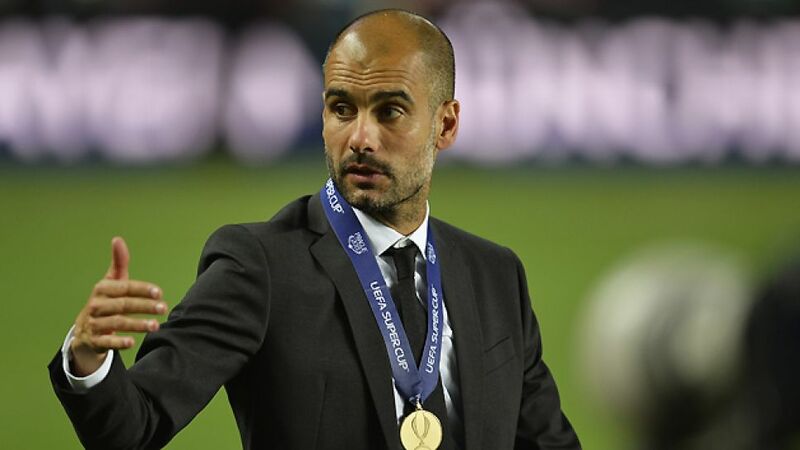 Munich - It was Germany's biggest summer story, and one lapped up with equal avidity by the game's innumerable followers around the globe: the arrival of Pep Guardiola in Munich to don the mantle of head coach at treble-winners FC Bayern. The 42-year-old Catalan, whose four years in charge of FC Barcelona produced some of the finest football of the modern era, officially emerged from a one-year sabbatical spent mostly in New York to assume his new post on 25 June. That day, at his first press conference, he described it as "a gift, not just to be here, but even to be considered by FC Bayern." The feeling is evidently mutual but even for a coach of Guardiola's stature, the brief is a daunting one. His predecessor, Jupp Heynckes, bowed out last season having upgraded his already-popular status at the club to "legendary" courtesy of an unprecedented Bundesliga, UEFA Champions League, DFB Cup and DFL Supercup quadruple-whammy. Where do you go from there? The new man in the hot seat will not be required to repeat that daunting level of success at the first time of asking, but he is, in effect, tasked with cementing the club's place among Europe's elite over the longer term. So how are things shaping up so far under Pep? With every tactical and personnel detail inevitably going under the microscope, much has been made of his apparent shift away from last season's set-up with a double defensive shield in midfield, towards a higher-pressing and even more fluid system. Deploying an out-and-out central striker has never been high on Guardiola's priority list either and introducing such fundamental changes to a team fresh from a uniquely successful season was never going to be straightforward, or indeed to everybody's liking. The one player on the books who has fully subsumed the Guardiola way already is the one he insisted on bringing on board from the off: Thiago Alcantara. Voted player of the tournament at the summer’s European U-21 Championships in Israel, where he skippered Spain to victory, the box-to-box midfielder blossomed under his "new" coach's wing at FC Barcelona. Now, the duo's working relationship has been re-established, with Thiago earmarked for a key role within the team, once he recovers from injury. The 22-year-old son of Brazil's 1994 World Cup-winner Mazinho acknowledges that Guardiola was "an important factor" in his decision to move to Bayern, although by no means the only one: "The club have a great history, they've been one of the best in the world for years. On top of that, the team play very attractive football. And I think the arrival of Pep Guardiola is another step in the right direction." Being Pep’s number one choice does not carry any guarantees, though, as the new Bayern supremo has already demonstrated, doing justice to his reputation for meeting and greeting difficult decisions with nonchalance. Nobody is above the team and even captain found himself on the bench for the recent Bundesliga fixture with SC Freiburg. Admittedly, that was a choice made to have him primed and ready for the , but only rarely did Heynckes’ rotation reach such extremes. Lahm has also spent time in a more advanced midfield position as Pep shows he is not leaving any stone unturned in his quest for perfection. The Pep project is underway, then, with the unequivocal backing of the club's all-powerful management. It may take a while to get into full flow, but it is going to be executed with utter conviction. As the man himself said at his official unveiling, in the aforementioned rapidly-improving German, "There aren't many clubs in the world with a history like this one. That history is what I'm here for."